Kee Hooi has experience advising sponsors, financiers and Government bodies on the development, construction, financing, operation and maintenance of major projects in private power generation, independent and industrial terminals, upstream exploration projects and renewable energy projects. 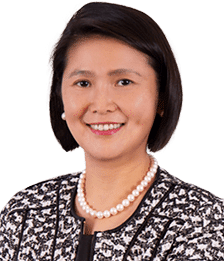 She also advises on various constructions, corporate and commercial matters relating to joint ventures, project development, mergers and acquisitions and foreign investment in Malaysia. Kee Hooi has previous working experience in the areas of project management, software development, property consultancy and private banking before embarking on a legal career. Bachelor of Laws (Honours) degree from University of London, United Kingdom.